They just pop off. They are easily removed. There is a thread somewhere here or on the other ranger forum show how they pop off. Mine were so badly pealing I just bought new ones, removed the old, put the new ones in and was done with both sides 5 minutes later. Just for clarity you are talking about the outside rubber/black trim pieces at the bottom of the window right? Just replace them they are easy to install, they can be purchased from LMC truck Parts Geek and Rock auto. I purchased mine from Parts geek and I think I paid 44 bucks for the pair plus shipping. I think there is more work than just popping them off. 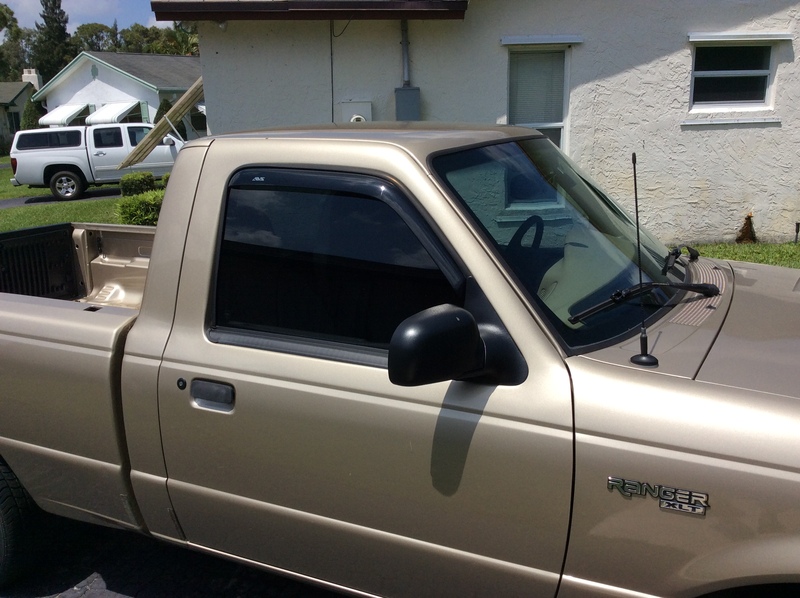 I am getting ready to do this and the workshop manual states you have to remove the mirror which also requires removal of at least part of the door panel. Not a big deal but a little more work than just popping them off. Any update? I'm thinking of painting mine though not sure if it will take more time removing the seals. If you have not already wrecked your seals by painting them. try cleaning them then use mothers back to black. I used PVC cleaner from home depot to clean the neglected seal around my windshield and it looks nearly new. I was tempted to replace my windshield and seal because it was in such horrible shape yet now I see no reason to do anything other than finish the cleaning with some more PVC cleaner since i only had a little left from my last plumbing project. The cleaner will not harm your paint but it will strip the wax off of your paint you so you will need to re wax any areas the cleaner touches. Just put a little cleaner on a rag or use the dauber and follow up with a clean rag. If your seals are really dirty it may take a few good cleanings to get the appearance you want.